Information provided in this section is strictly theoretical based on ideal conditions. Actual performance is heavily dependent on the physical properties of the mating components and their ability to withstand the forces generated by the Tolerance Ring. Other factors affecting performance are the hardness, surface finish, lubrication and assembly procedure. A performance - testing program is strongly recommended in order to establish the final component diameters and tolerances within the range of the Tolerance Ring capability. For validation testing, production intent components are required. 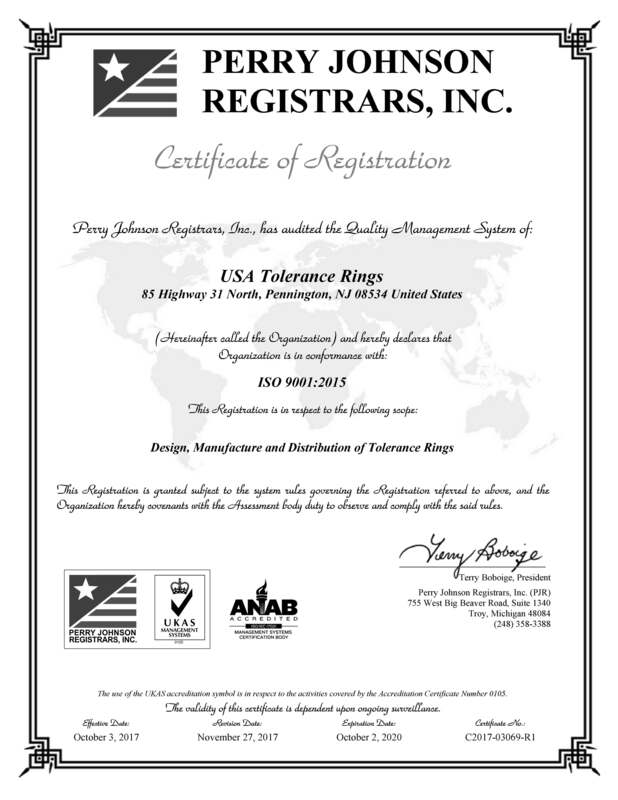 The Tolerance Ring is a precision-engineered device made from a thin spring steel strip of material into which waves, corrugations or bumps are formed. The strips are cut to length and curled into the ring shape. 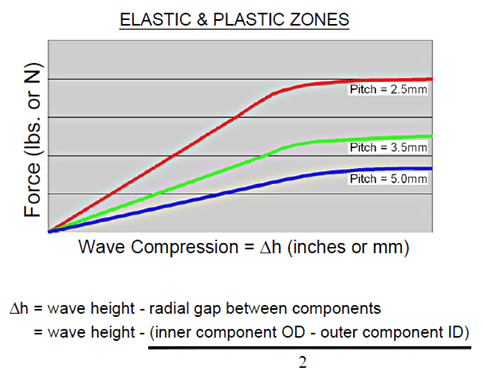 The waves are either facing inward or outward to accommodate different applications. The AN style, waves facing inward, is designed so that the ends can be closed and fitted into a bore or tube and is self-retaining when released. The BN style, waves facing outward, is designed so that when the ends are opened it will slip over a shaft and also be self-retaining when released. The waveforms are designed to exert a holding force yet allow for ease of assembly between mating components. This closed wave configuration is typically very strong with the strongest part being the shoulders or closed ends of the wave. When the Tolerance Ring is assembled between mating components each wave is elastically deflected resulting in holding force. The holding ability of the ring is the resultant force of all the waves and the coefficient of friction with the mating components. Within the elastic limit of the wave configuration simple spring theory applies. The major factors influencing spring rate are strip thickness and wave pitch. 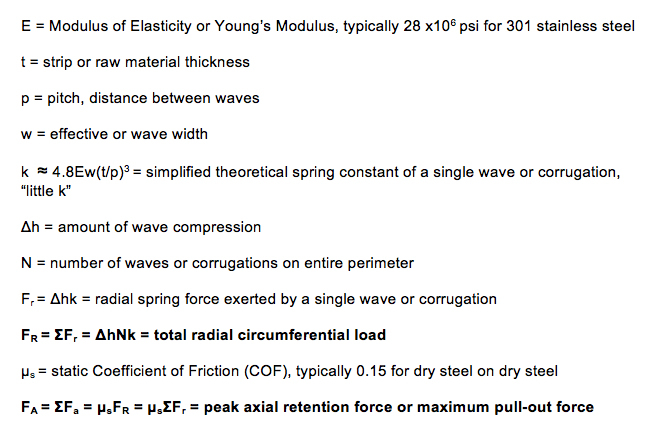 By varying these, a wide range of spring stiffness can be designed into a given component envelope. Typically a range of greater than two order of magnitude is achievable within the same space envelope. Component tolerance is a major factor in spring force. 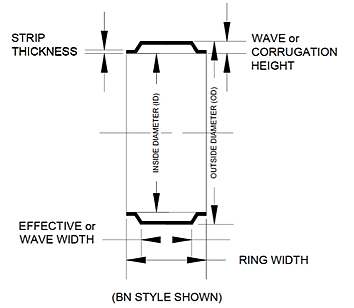 Wave height varies with each ring configuration within limits of material thickness and pitch. 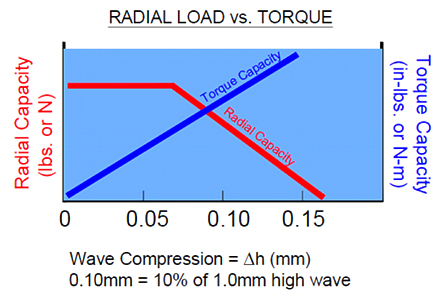 In general, the greater the wave height, the greater the elastic limit to handle greater tolerance and thermal differential. Each wave exerts a spring force. Therefore, the greater number of waves, the higher the total force. Coupling this with the yield strength of the mating components and coefficient of friction allows us to estimate retention force, radial load capacity and torque capacity. 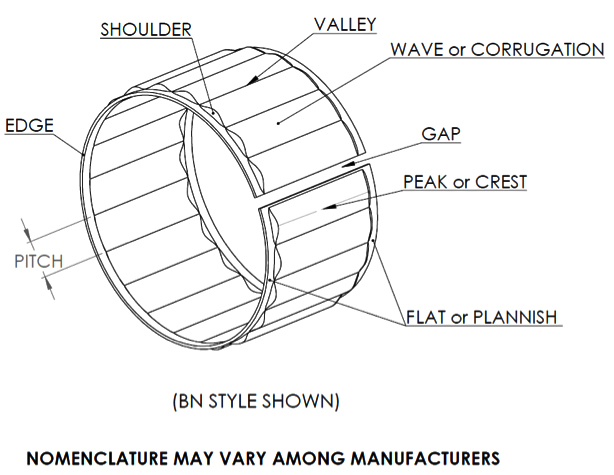 Selecting a ring style and material, ring diameter and width and then specific wave configuration, fitting within the design constraints. First looking at available tools. 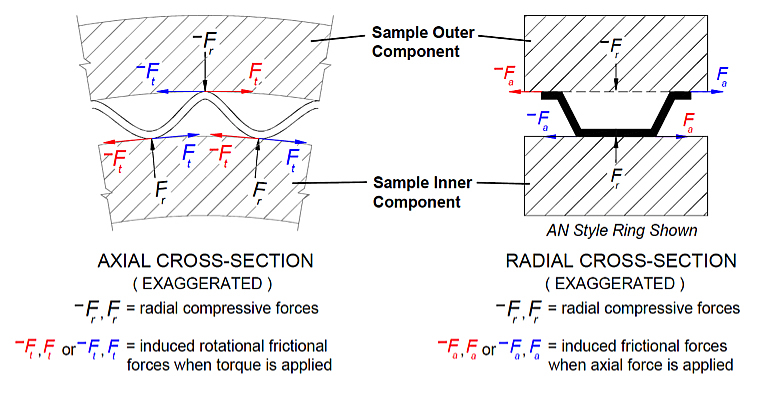 Evaluating mating components for hardness – ability to hold the force of the ring and surface finish – affecting the coefficient of friction. Reviewing assembly process with design constraints. As a result we recommend a testing program to verify the final design using production intent components.